I have been on a rose geranium binge as of late, and I don’t see it stopping anytime soon. It embodies so many scent profiles, that it seems to suit a myriad of moods. It has a rosy floral note as the plant’s name suggests, and it also sparkles like lemon and comforts with an herbaceous backdrop. This leads me to Kahina’s sophomore perfume release, Essaouira, which has a glorious rose geranium as its focal point. If you are familiar with Kahina, you might know that this philanthropic company is steeped in Moroccan culture so this perfume is aptly named Essaouira, a temperate village on the Moroccan Atlantic coast. Although I have never been to this free-spirited and whitewashed destination, Kahina’s latest all natural fragrance inspires a longing to make that trip. 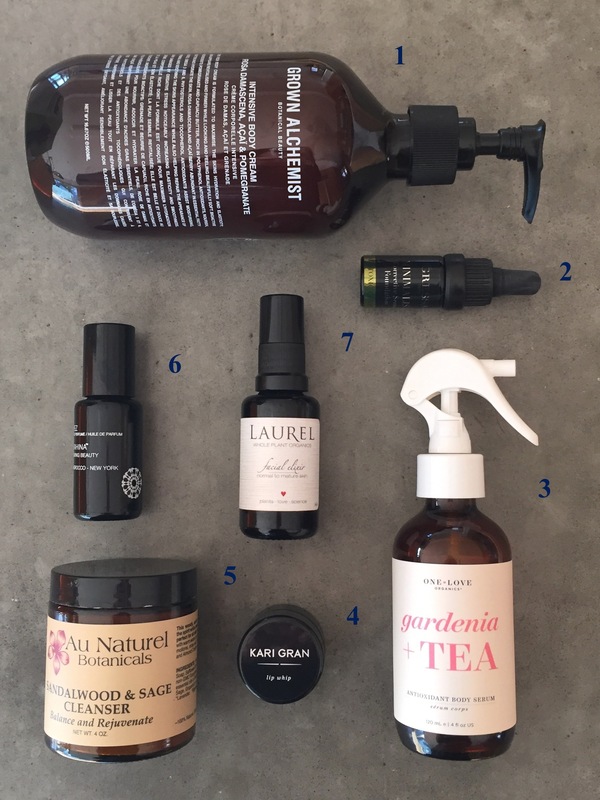 My Top 7 Green Beauty Picks for 2015 and Happy New Year! There were so many lovely green beauties to choose from this year, but these seven products rose to the top of my 2015 favorites list. All of them are 100% natural and without parabens, phenoxyethanol, phthalates, or petrochemicals. So let’s get started!